“Since they teamed up in 2002, general manager Marty Hurney and coach John Fox have taken a conservative and frugal approach to free agency. 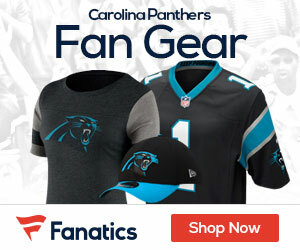 But Hurney and Fox are coming off two disappointing seasons, and owner Jerry Richardson is on the record saying he expects a very busy offseason. That has prompted Fox and Hurney to do business the way they haven’t in the past, cutting their own players (Mike Wahle, DeShaun Foster and Dan Morgan). Wednesday’s signing of former Panthers receiver Muhsin Muhammad is the kind of move Richardson used to make. (Remember Kevin Greene?) Muhammad might be a decent role player for a year or two, but he’s not going to solve all of Carolina’s problems. Hurney and Fox have to win this year, and they need playmakers on offense and a pass rush. The Panthers aren’t done at wide receiver and need a running back at least to complement DeAngelo Williams.